An indoor grill lets you enjoy the experience of outdoor cooking – grill marks and all – no matter what season it is. To help you find the perfect indoor grill for your needs, the ReviewLab team performed Read more about our methodology.extensive Read more about our methodology.research on a variety of options, including indoor grills for families, mini indoor grills and non-electric indoor grills, among others. For each of our recommended products, we include all the important specs, as well as what users have to say about them. If you want to learn more about indoor grills in general, check out our buying guide below. The Cuisinart GR-300WS is a top-notch, versatile and reliable indoor grill that’s big enough to cook for the whole family at once. Advanced features, superior quality and great performance make this indoor grill stand out from the rest. The Oster CKSTGR3007-ECO is a versatile electric indoor grill that offers plenty of cooking surface to feed a family. This grill heats quickly and evenly, and it's dishwasher safe, making it a great choice for anyone looking for an indoor grill that can handle a variety of foods. With a contact top, generous cooking surface and other features associated with pricier models, the Hamilton Beach 25600 offers tons of value. It's not the least expensive indoor electric grill out there, but it definitely offers a lot of bang for the buck. The Presto 09020 is an open-top, electric indoor grill that packs a lot of power and features at a very affordable price. It's lightweight, dishwasher safe and has a cool-touch base, making it a great value. The DeLonghi America CGH1020D is a high-quality, multifunctional indoor grill that is great for cooking for families and large groups. It features a large cooking space, floating contact top and much more. 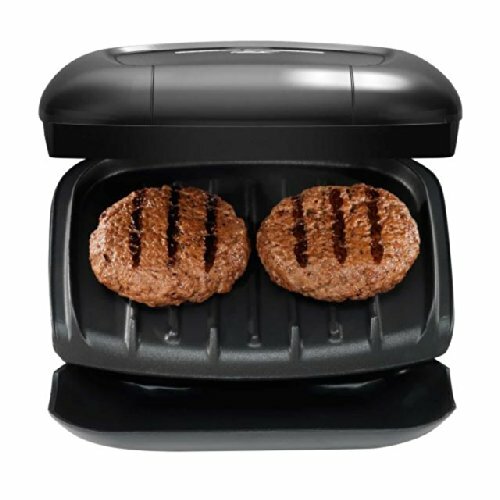 The George Foreman GR0040B is the perfect size for singles and couples – not to mention easy storage. It's a handy indoor grill at a great price, making it a clear pick for best mini indoor grill. The Elite Gourmet EMG-980B packs a lot of heating power into a small, affordable unit. A wide range of temperature options, dishwasher safe cooking plate and handy drip pan are just some of the features that make this indoor grill shine. If you want to grill indoors but don't want a whole new appliance cluttering your kitchen, the Kitchen + Home Stove Top Grill is a great option. This stovetop indoor grill has similar functionality to electric versions and is easy to clean and store. The Milliard Raclette Grill is a great choice for entertaining. In addition to having an ample cooking surface, this indoor grill also comes with eight pans for melting individual servings of cheese, making it an all-in-one appetizer station. Most indoor grills fall into two categories: electric (aka countertop) and stovetop. Electric models are plugged into an electric outlet and when the cooking plate heats up it’s ready to be used. They are usually smokeless and cheaper than using propane grills. 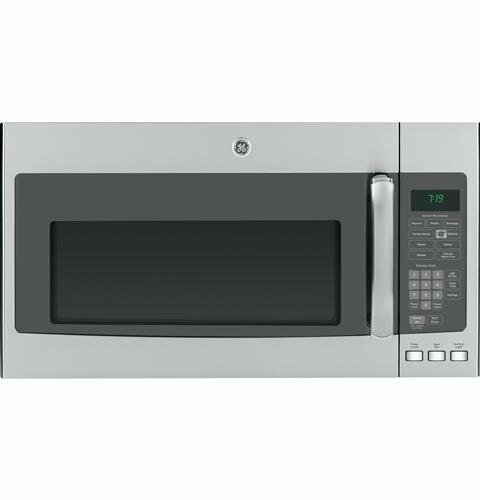 The range top models are placed over an electric or gas cooking range. Some stove top grills are large enough to sit on two burners. The takeaway: electric grills are self-contained, while stovetop versions require an external heat source. The material a grill is made of has a lot to do with how well a grill cooks food. Popular materials are cast iron (which typically maintains an even heat) and cast aluminum (which conducts heat quickly). Some grills have granite or ceramic plates. Non-stick plates are often coated with Teflon or Xylan. The material that makes up the exterior of the grill unit should be durable and remain cool to the touch while the grill is in use. Stainless steel, silicone-based materials and BPA-free plastic are the three common choices. Indoor grills either have open tops or they come with a contact top that presses down the food and, in some cases can be laid flat to double the cooking surface. Open-top grills may be able to handle thicker food, but you're likely to get some spatter, as well. However, many grills have a floating contact top that lets users adjust the height of the top surface. Indoor grills come at a wide range of price points. You can find a basic electric indoor grill for less than $20. Something at this price will likely have a smaller cooking surface and offer fewer extras, if any. Non-electric grills are often on the lower end of the price range, as well. You can get a good-sized, quality indoor grill in the $30 to $80 range. If you spend $100 or more, you can expect a large grill with additional features and functionality. The Cuisinart GR-300WS has 1800 Watts under its belt and reaches 450 degrees in a matter of minutes. Digital display, six possible grill and griddle combinations, dual temperatures on two different plates and a 60-minute timer are few of the features that will make grilling on it a joy. From a quick grilled cheese to grilling thick steaks, the Cuisinart GR-300WS can handle a variety of grilling tasks. Wide range of cooking options. This indoor grill offers an impressive temperature range (200-450 degrees). 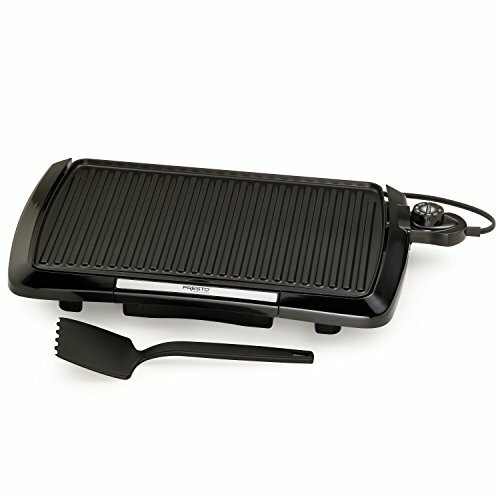 Interchangeable griddle plates and a floating contact top (making it a panini press) add to this grill's versatility. Created for long-term use. With sturdy metal construction, hardwearing aluminum plates and a 3-year warranty, the Cuisinart GR-300WS is built to last. Many reviewers mention the grill's durability. Lots of cooking surface. 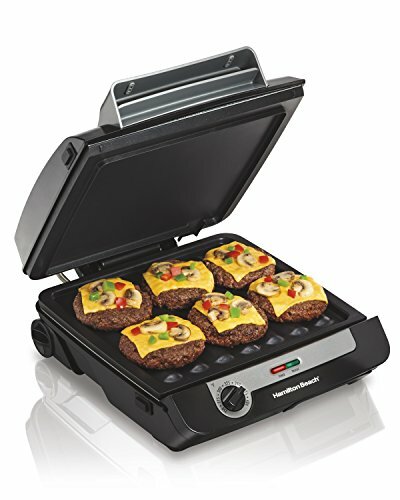 Big enough to accommodate eight hamburgers at a time, the Cuisinart GR-300WS can feed a crowd. Plus, its superior heating technology can maintain an even temperature over sustained periods of time, as many reviews attest. Easy to use and clean. A removable drip tray catches grease, greatly reducing any smoke or spatter. The non-stick cooking plates are removable for easy cleaning. You may decide to handwash. While the manufacturer claims that the cooking plates are dishwasher safe, many users say they prefer to handwash them out of concern that the non-stick coating may be damaged by a dishwasher. Still, users say, handwashing the removable plates is a breeze. 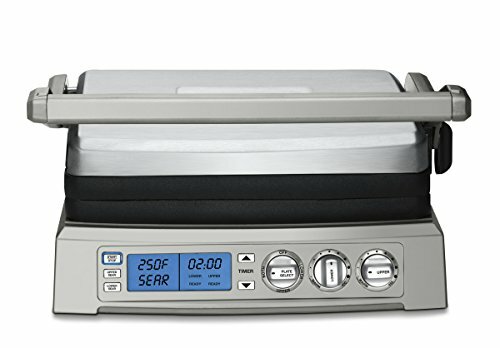 The Oster CKSTGR3007-ECO gets to temp quickly (up to 450 degrees) and heats evenly. It features dishwasher-safe, ceramic-coated aluminum plate and a drip tray for easy cleanup. The plate is reversible for use as a griddle, and the unit has cool touch handles. While the cooking surface is smaller than that of our top pick, it is still large enough to cook for a family. All in all, it's a great indoor grill at a reasonable price. Even heating. Over and over, users praise the Oster CKSTGR3007-ECO for it's quick and even heating, saying it does not suffer from the cold spots that plague other grills. Tough ceramic coating. The aluminum plate heats quickly and the non-stick ceramic coating is durable enough to stand up to daily use and dishwasher cleaning. Dual plug option. The Oster CKSTGR3007-ECO has dual plug-in spots – one on each side of the unit. This convenience feature makes the grill easier to use. Some smoke and splatter. 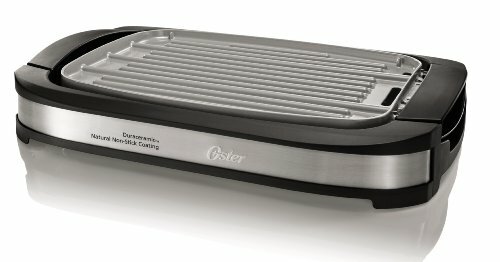 A common issue with open-top indoor grills, the Oster CKSTGR3007-ECO may let off smoke or splatter when cooking some foods, especially fattier ones. The Hamilton Beach 25600 has a non-stick cooking surface of 100 inches (large enough for six burgers) and is still relatively lightweight. It has a contact top that can be used as a griddle when the unit is fully opened. The grill has a wide heating range, and the heat can be increased in 25-degree increments, making it very precise. All of this and more make the Hamilton Beach 25600 stand out as a great value. Wide range of temps. This grill operates at temperatures between 250 and 400 degrees, and you can step up the temp by 25 degrees at a time so you can find the perfect temperature for the food you are cooking. Many users say the plates heat quickly and evenly. Contact top doubles as griddle. The grills contact top helps food to stay moist and cook evenly, as well as cut down on the splatter that comes with open-top grills. The top also is a griddle when the unit is opened completely. Made to cook bacon. The Hamilton Beach 25600 can cook several pieces of crispy bacon in minutes flat and still maintain a grease-free surrounding. It has a kickstand that elevates the unit to facilitate draining grease into the drip pan. 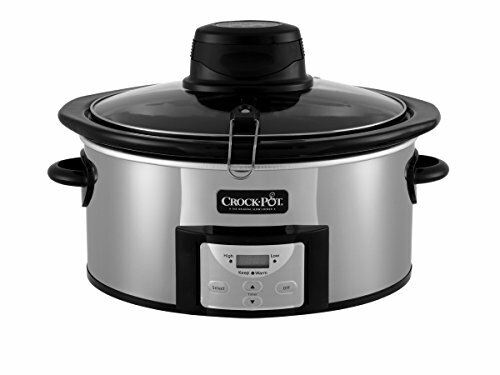 Many users praise this unit for its bacon-cooking capabilities, with some saying it is far better than a skillet on the stove. Cleanup is easy. 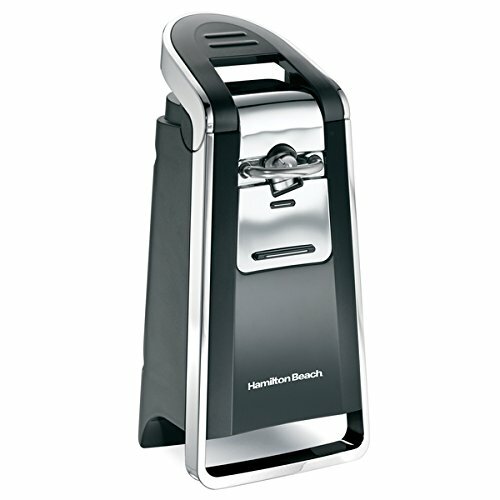 Review after review for the Hamilton Beach 25600 mention how easy it is to clean, either by hand or in the dishwasher. Drip tray complaints. A handful of reviews mention cracked drip trays, which led to grease running onto the counter. The Presto 09020 is an affordable electric indoor grill that performs at a higher level than its price point would indicate. This model offers 1300 watts of power and can achieve heats of 400 degrees, allowing you to brown or char food as desired. It's also easy to clean with a dishwasher-safe plate and drip tray for grease and oil. Quick to heat, easy to use. The Presto 09020 heats up to its maximum temp of 400 degrees in minutes. And the non-stick plate makes cooking a breeze. And cleanup is easy, whether by handwashing or in the dishwasher. Browns food well. Many users say that this grill delivers browned or charred food akin to that prepared on an outdoor gas or charcoal grill. Uneven heat distribution. Some reviewers note that the side of the grill with the plug gets hotter than the other. Do you cook for your family – or a family-sized group – on a regular basis? If so, cooking space will be a major consideration when selecting an indoor grill. Also, look for extras, such as additional griddle or waffle plates that increase functionality even more. 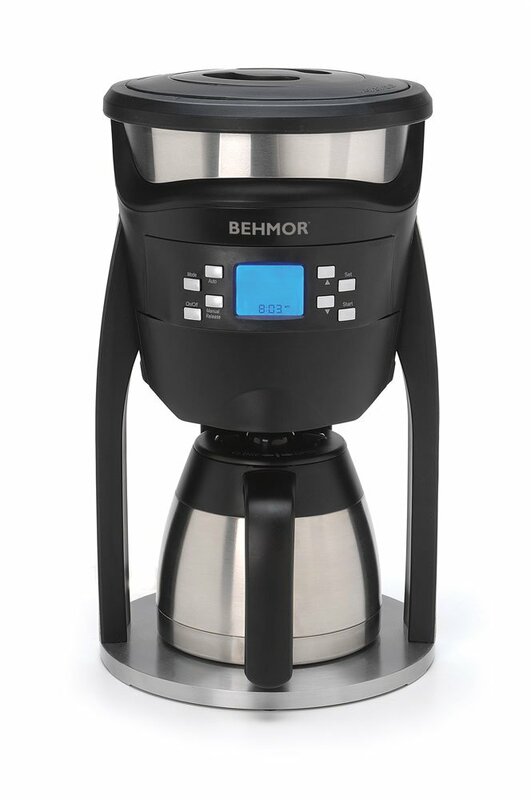 The DeLonghi America CGH1020D is packed with features. It's an indoor grill, a griddle, a panini press and more. This unit is smokeless and can be used as a covered grill with it's floating contact top or as an open grill, doubling its cooking surface. Add to that safety features, such as cool-touch handles and an auto shutoff timer, and this is a great grill for families. Very versatile indoor grill. The DeLonghi America CGH1020D is a workhorse that can be used to make any and every meal. Provides even heat. Many reviewers say that this grill heats evenly from one end to the other, making for a better cooking experience. Also, the separate sides of the grill can be heated to different temperatures, adding to the versatility of this model. Self-adjustable float top. The float top allows food to be stacked high and is ideal for thick cuts of meat. 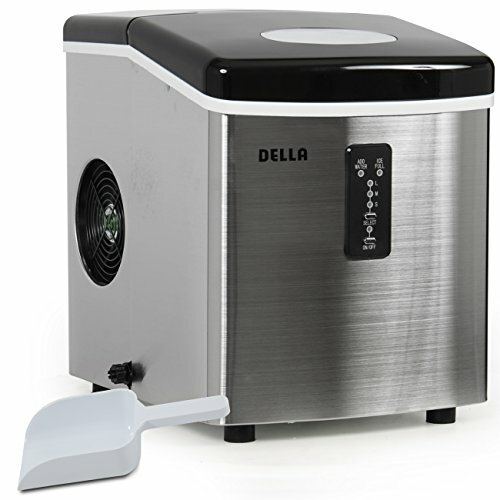 But the float top can also be used as a broiler and will melt cheese on open-face sandwiches and flatbreads. Because it’s adjustable, light foods like grilled sandwiches won’t get smashed. Dedicated app. The DeLonghi America CGH1020D comes with an app that details usage, temperature setting for different foods and recipes. Short cord. This indoor grill has a short cord, which is mainly so for safety reasons but can make it difficult to reach an outlet. Users have worked around this problem by using an extension cord. Mini grills are smaller than standard models, making them perfect for singles, couples and people who don't have a lot of space for storing appliances. If you're cooking for one or two, a mini indoor grill should do the trick. But if you plan on feeding larger groups, you may want to consider a grill with more cooking space. The George Foreman GR0040Bis a no-frills indoor grill that can stand up to a single person’s basic grilling needs and daily use. With a moderate power of 760 Watts, this grill heats to a temperature of 350 degrees and has a cooking surface of 36 square inches. The contact top and the trademark tilted drip tray help cook healthy food in minutes. Cooks variety of food. This grill's compact size doesn’t bar it from grilling a variety of food, from grilled sandwiches to chicken breasts, steak, frozen waffles, and bacon. 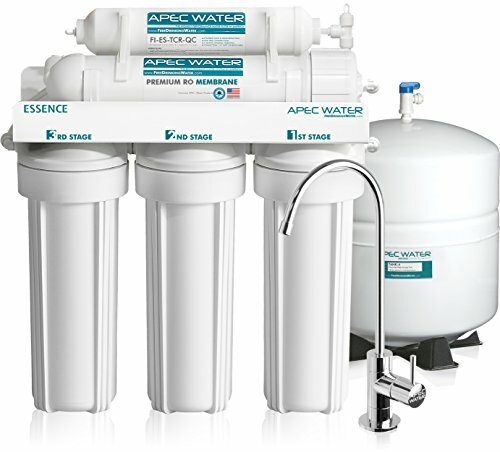 Time and time again, reviewers talk about how easy this unit is to use. Sloped cooking plate. A patented feature of the George Foreman GR0040B, the cooking plate is at a slight angle and any fat or fluid from the food conveniently runs off into the drip tray. Easy to store. This grill measures at 8" by 9", making it a great option for smaller spaces. A multitude of reviews mention how easy it is to store the George Foreman GR0040B. Only one temperature. The George Foreman GR0040Boperates at only one temperature, 350 degrees Fahrenheit. It’s still capable of cooking most food at this temperature, but thicker cuts of meat could be a problem. 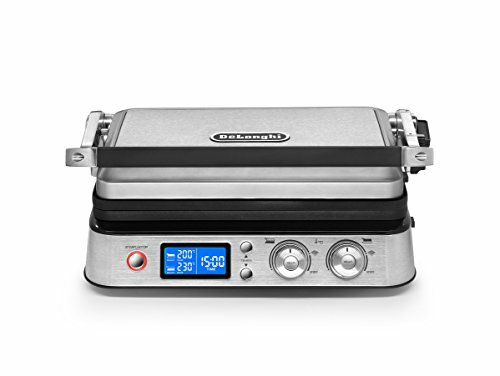 The Elite Gourmet EMG-980B is a versatile indoor grill with five temperature settings, ranging from 250-450 degrees. 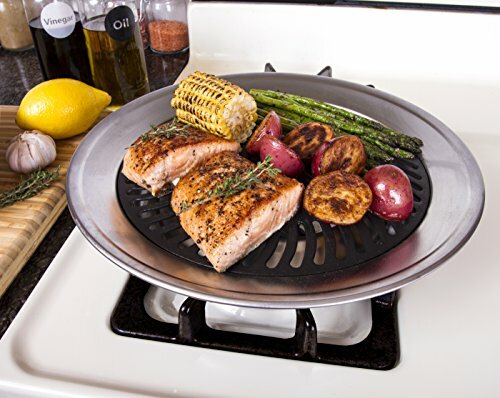 The aluminum cooking plate heats quickly and evenly, and the grill is loaded with feature typically reserved for larger, more expensive grills, such as a removable, dishwasher-safe cooking plate, cool-touch handles and a tempered glass lid to keep splatter to a minimum. Multiple heat settings. The Elite Gourmet EMG-980B has five temperature settings that range from 250 to 450 degrees, whereas other mini models offer limited temperature variation. Users say they love the control this affords them. Glass lid controls splatter. Several reviews cite the tempered glass lid as a major benefit, with users saying that the lid prevents splatter. The grill also has a drip tray to collect grease. Cooks thick cuts. This mini grill heats up fast and generates a good amount of heat, enough to cook thick cuts of meat. Fatty meat, like bacon, is also easily cooked because the fat drips away and the glass lid prevents splatter and keeps the food moist. Shallow glass lid. While many users praise the glass lid for its ability to prevent splatter-related messes, a few reviewers note that the lid may be too shallow to use when cooking thicker foods. Non-Electric indoor grills are great for people who don't want another bulky appliance taking up space in the kitchen. These grills typically use your stovetop as a heat source and are easy to store – although they often offer less cooking area than their electric counterparts. The Kitchen + Home Stove Top Grill is a great non-electric indoor grill option that has enough cooking surface to prepare food for one or two people at a time. The nonstick cooking plate is easy to clean, and it features a drip pan that can also be used to steam and flavor foods with water and aromatics. This grill is easy to store, taking up significantly less space than an electric indoor grill. Works on a range of ranges. This indoor grill works with a variety of stovetops, including gas, electric and smooth surface. Easy to Clean. Many reviews mention how easy it is to clean this grill. The non-stick cooking plate and drip pan come apart for handwashing. Made for daily use. Several users have said that they leave the Kitchen + Home Stove Top Grill on their range top as a permanent fixture because they use it daily. The non-stick aluminum grill and the steel base make for a durable stove top grill that is also easy to use. Slow to heat. The stovetop grill receives heat indirectly from the burner or the range top and hence sometimes it takes a while before it’s ready for use. Splatters. The stovetop grill has no cover and fatty meats and sauces tend to splatter. But a small pot lid can help solve that problem. These grills, in addition to having most of the handy features of a large capacity electric grill, have unique features that you can use to prepare food in different ways and give your guests a taste of something new. Look out for an indoor party grill that’s large enough to prepare enough food for a large group. 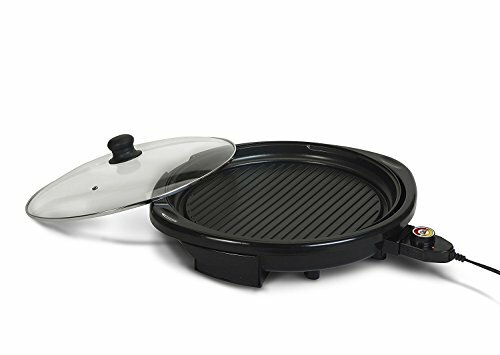 The Milliard Raclette Grill has a two-tier design: The upper level acts as a traditional electric grill and the lower level is used to melt cheese in non-stick pans. With more than 166 square inches of cooking space, this grill can feed a large group. And, in addition to a reversible non-stick grill/griddle cooking plate, the Milliard Raclette Grill comes with a granite cooling stone for added versatility. All in all, this is a unique grill that is great for parties and get-togethers. Multiple cooking surfaces. The Milliard Raclette Grill features a reversible nonstick grill/griddle cooking surface, as well as a granite cooking stone. Users say that, once heated, the granite cooking stone holds its heat nicely. All accessories included. 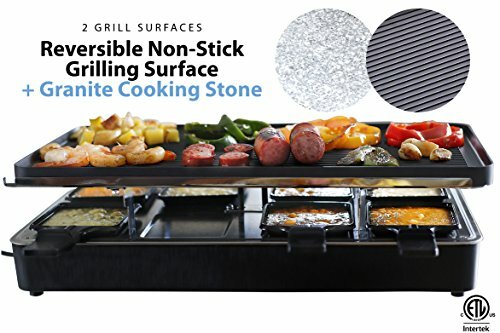 In addition to the reversible cooking plate and granite cooking stone, this grill comes with eight non-stick pans (also called coupelles) for melting cheese and eight wooden serving spatulas. Great for parties. Many users say they use this grill makes for a unique, impressive and tasty addition to parties. Short cord. Multiple users mention a very short cord as one of the negatives for this grill. Granite takes a long time to heat. Reviewers suggest setting aside ample time for pre-heating the granite cooking stone.